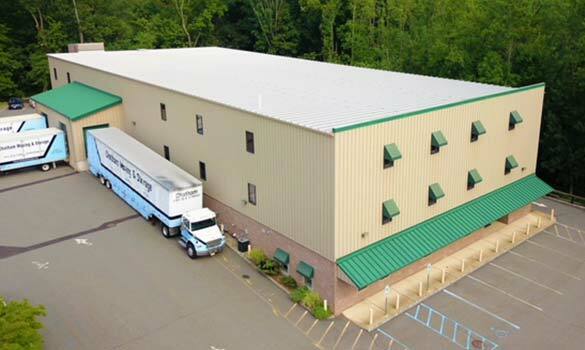 Chatham Storage offers flexible self-storage options for individuals, families, and businesses of all sizes in North and Central New Jersey areas, including Morristown, Morris Township, and Harding. Our climate-controlled rooms are available in 14 sizes, from the size of a closet to one that will hold your entire home. We also offer indoor and covered automobile storage space. We encourage you to stop by and visit - no appointment necessary! 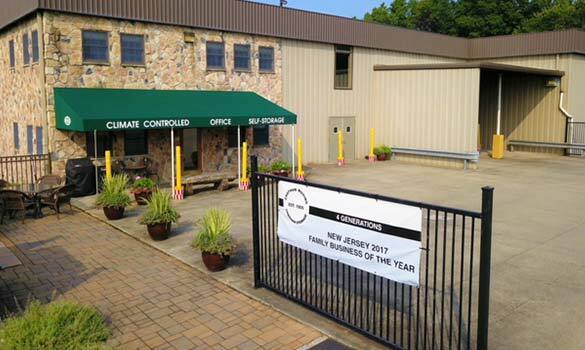 Our two locations are half a mile apart, from Chatham to Florham Park, NJ. Our facilities are open 7 days a week and we have 4-wheeled platform carts available for use at no extra charge. Our facilities are accessible for all vehicles. Our facilities are gated with video security and individually alarmed rooms. We keep the hallways and our covered loading and unloading zones clean and well-lit and have managers on site. Our sprinkler and safety systems meet most insurance needs. Questions or concerns? Our on-site managers are here to assist. Delivery and box acceptance is available. Pickup and delivery service is available with Chatham Moving; all furniture is fully wrapped when it is moved to storage.